We couldn’t have done it without our Mark2Curators, so of course we’ve made the preprint of the manuscript freely available. The link in the acknowledgment section might not be live yet, as we’re still collecting ‘opt-in’ preferences from our users. If you participated in the beta phase of Mark2Cure, please be sure to fill in your preference in the qualtrics survey (sent to beta participants, please contact us if you participated in the beta phase of Mark2Cure but did not receive the link). If you would like to be included in future publications from Mark2Cure, be sure to contribute often! Contributing and completing quests is how you can make your mark! Two of our doc sets are over 80% complete so every quest you do helps move them closer to completion. Our third doc set is over 50% complete thanks to your generous contributions! For those of you who have struggled with any of the abstracts (I think we’d all fit under this category), you might want to check out this amusing article in Science about learning to read a scientific paper. Finished all our available docs or want to try something different? 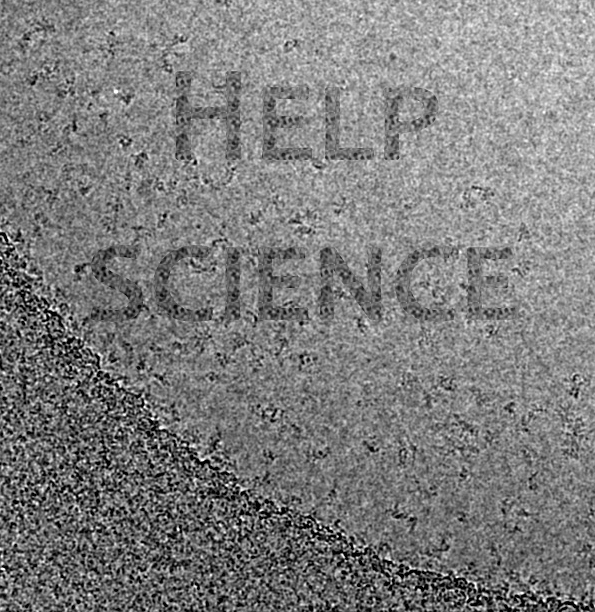 Here’s another easy way to contribute to science! Check out a new citizen science project being developed by a student in our lab (the Su Lab). Similar to citizen science projects asking participants to spot stars and celestial bodies, Jake’s project asks participants to find proteins in electron micrographs. The project is being developed using the Zooniverse platform, so it’s really easy to get started. Try it out when you get the chance.